We know it’s difficult to lose your teeth. Life changes when you can’t eat the foods you love and have a hard time speaking. Don’t let the anxiety of severe tooth loss get you down. Canyon Echo Dental is ready to help! A great option for patients who are missing their teeth is dentures. Our team at Canyon Echo Dental is skilled in denture services and will help you get beautiful results. 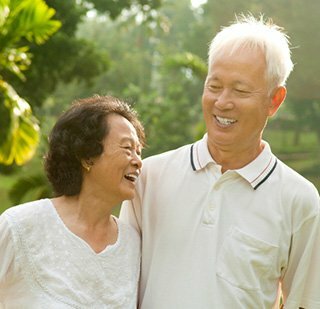 Traditional Dentures | Our traditional dentures are a great option for replacing your teeth, and remain a popular choice because of their versatility. Each denture is custom-made in a dental laboratory to ensure the best fit and functionality. Your personalized dentures can give you a stunning, rejuvenated smile! Partial Dentures | If you still have some of your teeth, Dr. Worm may recommend a partial denture device. Partial dentures rest on a metal framework formed to fit around your natural teeth. Crowns are sometimes used to anchor the partial denture, depending on your specific situation. Implant supported Dentures | This newer technological advancement has changed the way people think about dentures. Implant supported dentures will permanently replace your missing teeth! A dental implant consists of a titanium post placed in the jawbone. The posts then act as an anchor for the dentures. Implant supported dentures are durable and stable, won’t shift out of place, and will permanently change your smile for the better. When you receive dentures, taking care of them will help them last a long time. Continue to come into our office for exams, and always handle your dentures carefully. If you have any concerns after you receive your dentures, please call us right away. We want to see you looking your best and smiling again. With our skilled, caring team, you can rest assured you are getting the experienced care you need. We’re ready to assist you with your dentures, whether you need full, partial, traditional, or implant supported dentures. Do you have any more questions about our dentures and denture options? Call us today!